Professor Andreas Kappos shares his perspectives on TRT World News. 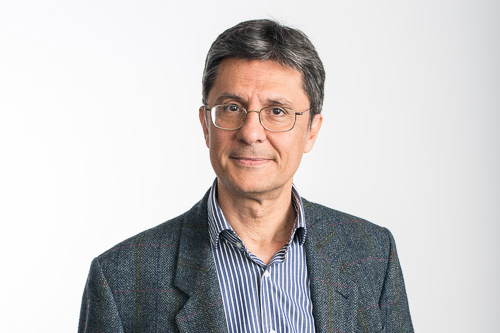 Professor of Civil Engineering and Director of City’s Research Centre for Civil Engineering Structures, Professor Andreas Kappos, says too much attention is paid to early warning in response to the immediate threat of earthquakes. He calls for more emphasis on risk reduction. He made these comments recently as a panellist on the TRT World News’ Roundtable programme, ‘Earthquake alert: Are we closer to predicting disaster?’, recorded in the aftermath of the Sulawesi earthquake and tsunami in Indonesia. Professor Kappos is the Secretary-General of the European Association of Earthquake Engineering (EAEE). In 2015, he was appointed to lead the team drafting the revised Eurocode 8 (Part 3), governing the seismic assessment and retrofitting of buildings. Professor Kappos has been part of a variety of code-related bodies, among them the Drafting Committee of the Greek Code for Structural Interventions (compatible with Eurocode 8, Part 3) as well as a large number of seminars and workshops on several aspects of Eurocode 8. Professor Kappos' work (he is Associate Editor of the Bulletin of Earthquake Engineering), encompasses aspects of the design and assessment of both buildings and bridges. While the EAEE's key role is in to work closely with national, regional and international organisations on earthquake risk mitigation (rather than governments), the organisation has however made efforts to promote earthquake engineering and seismic risk mitigation at the level of the European Parliament. The key lesson from successful retrofit programmes such as the one in Cyprus schools is that politicians have to be convinced that reducing the seismic risk in ‘sensitive’ buildings like schools and other important categories like hospitals and telecommunications buildings is more important than just building a few more similar structures.